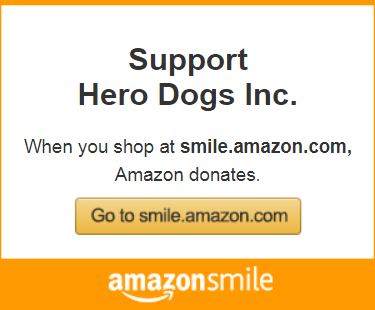 Three Hero Dogs Ambassadors assist in our training, outreach, education and awareness programs. Hero Dogs Lady Liberty – Libby accompanies our Program Director to give demonstrations and presentations throughout the region. Libby also participates in the initial three-week intensive training program with those who are preparing to be matched with a Hero Dog. Working with Libby gives the applicants a sense of the desired end goal for their partnership with their new service dog, as well as helps ease the learning curve (since Libby usually knows what she is supposed to do before the applicant does!). Libby is also puppy nanny to all of our new Hero Dogs puppies in training, and helps them learn to respect the boundaries of an adult dog. Also, inspired by Libby, please read about our planned giving program, Lady Liberty Legacy Society. Hero Dogs Theodore Roosevelt – Teddy attends community events, particularly all of those that involve children since he is extraordinarily patient and calm! Teddy also does home visits for prospective puppy raisers and puppy sitters as well as potential applicants, as there is no living creature that does not get along with Teddy. Teddy also participates in our Therapy Dog Program and is always a favorite wherever he visits. 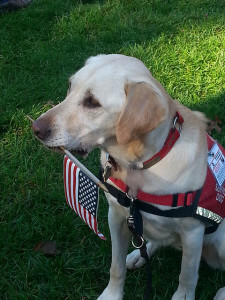 Hero Dogs Betsy Ross – Betsy has the most important job of all. 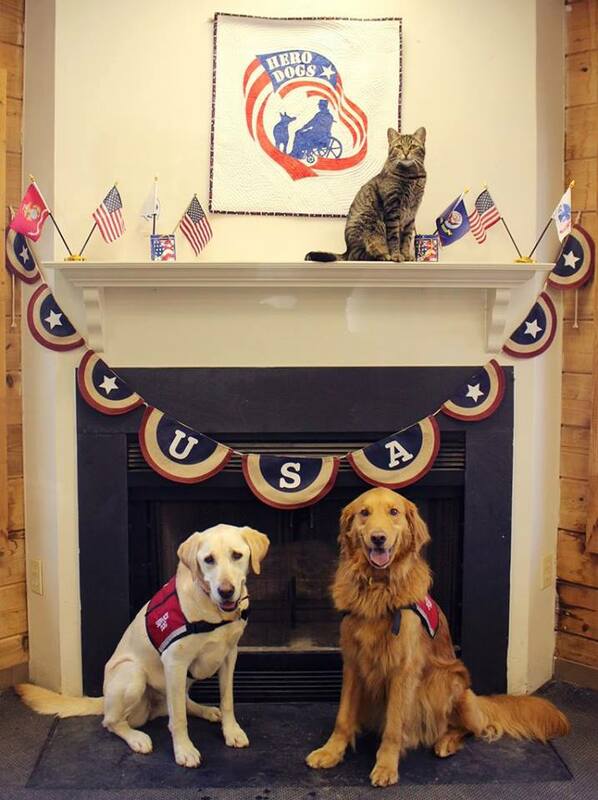 Betsy teaches the Hero Dogs in the Advanced Training Program that cats are to be respected! 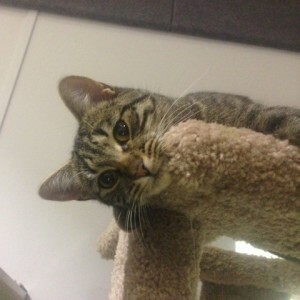 We need to ensure that all of the dogs we place would be safe in a home with other pets, including a cat. Betsy loves to watch and participate when the dogs are training, particularly when they are doing a “stay.” She knows that this is the perfect time to play with a dog’s tail! Puppy Sponsor: Winston and Lucy K.